By the 1970s, four-cylinder powerplants were dime-a-dozen in the motorcycling world. 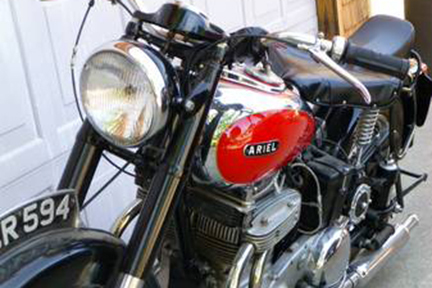 Formerly found only in high-end exotic machines like this Ariel Square Four, they’d become a characteristic of the generic “Universal Japanese Motorcycle.” But in the 1950s, a four-cylinder engine was something to brag about. These days, inline and V4 configurations are common, but the Ariel used an unusual “square” configuration not often seen outside two-stroke race-replicas like the Suzuki RG500 Gamma. As you’d expect, the square four is really a pair of parallel-twins, each with its own crankshaft, geared together and sharing a head. This makes for a compact motor that slotted easily into existing frames, but one with the inherent cooling problems that result from limited airflow to the rear cylinders. 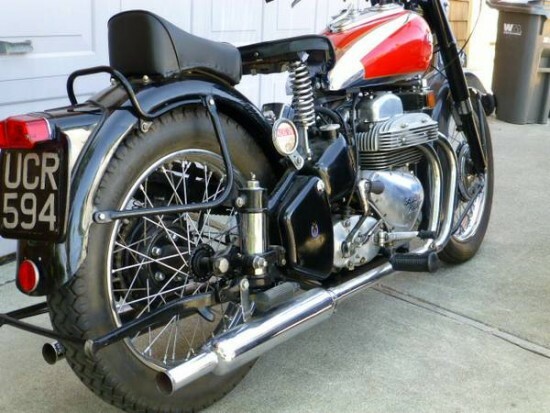 Introduced in 1931, the engine was significantly overhauled in 1937: in a seeming step backwards overhead cams were changed to pushrods, but the heads and barrels were changed from iron to aluminum and displacement increased significantly from 500cc’s to almost 1000. 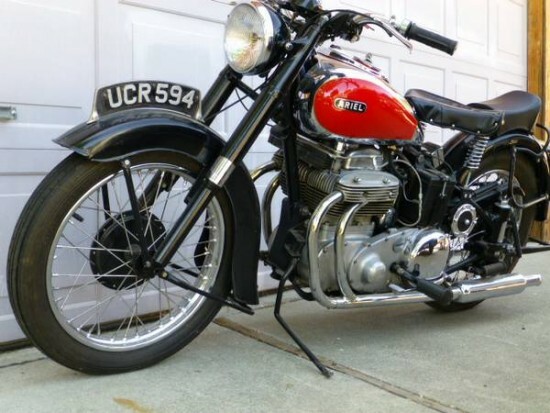 Reliability was increased and the character suited the bike’s mission: while performance was impressive with over 90mph possible, it was smooth and very torquey, a “gentleman’s express.” Production continued until 1959. Today’s example looks to be in very nice cosmetic condition, but has been off the road for a while and will need some work to set it right. You won’t see one like this every day… A MAGNIFICENT 1951 Ariel Square four 1000cc with a 1954 engine (four pipe manifold). Check the photos. One of the world’s best motorcycles ever from that decade. Much in the way of papers, manuals and history information available. After its long rest it will require some freshening before an outing, but it’s all do’able. The price has been reduced to $16300. Call for further information and an appointment to view. This vehicle is currently Cal licensed , clear titled, and on non-op status. The seller is asking a bit less than I’ve seen for nice Square Fours recently, and the mention of it being “reduced” suggests that interest has been low. I’m wondering if the updated engine is causing issues for fans of originality, or if the possible headache of getting this bike on the road is putting buyers off. The seller doesn’t mention why the change to the later powerplant was made, but certainly the performance benefits should be worth the update for fans of function, and the later exhaust manifold shows off the bike’s four-cylinder-ness proudly, whereas the original could be mistaken for a big parallel twin. 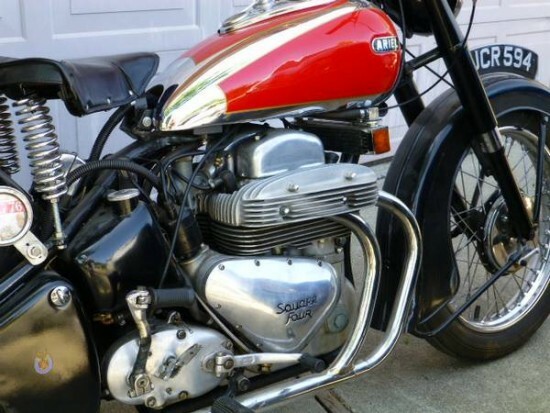 The seller also doesn’t mention exactly what it might need, if anything other than usual, to get it back on the road as “its long rest” isn’t really quantified, but cosmetically, the bike appears to be complete and in good shape.